The easiest way to accept any form of payment. Wherever your business goes, your sales can go too. 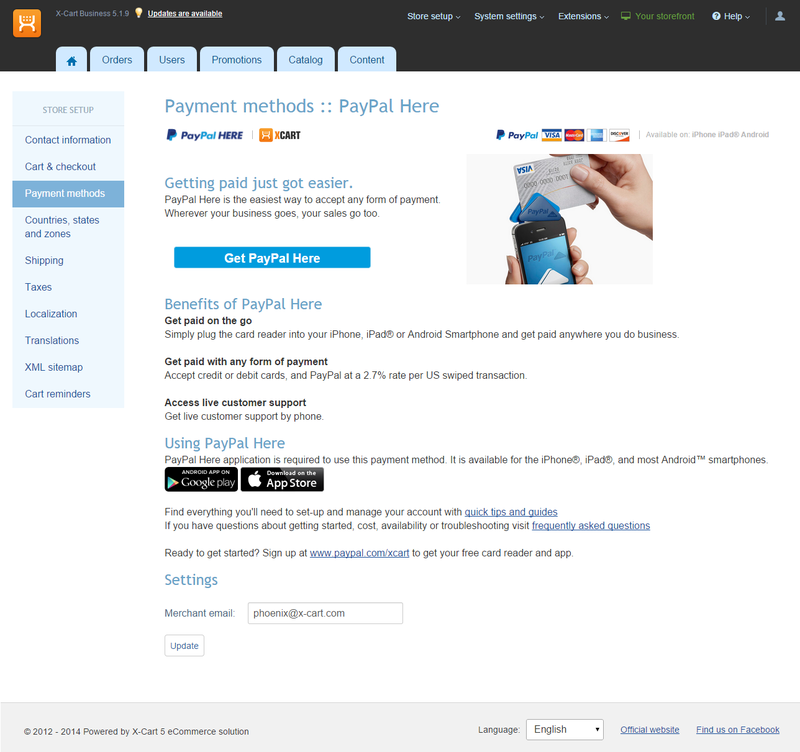 A mobile device with the PayPal Here application installed is required for this module to work properly. For better interaction we also recommend to install Mobile Admin extension. With the PayPal Business Debit MasterCard® you can use your PayPal account to make purchases online or in person and receive 1% cash back on signed purchases. You can also get fast access to your money at the ATM. The card reader is free. There are no setup or monthly fees or long-term commitments. Compatible with both iOS and Android.